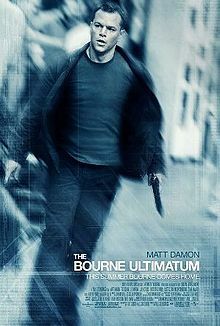 Action thrillers movies are usually considered as a safe bat in terms of box office. If you have good ingredients mixed up in good proportion, something riveting in the story and some death-defying stunts the film usually does good at the box office. Colombiana is having the star power as well. After the success of Avatar – Zoe Saldana – is famous universally. And like we believe in action by Carrie-Anne-Moss after Matrix, people will believe same (if not to that extent) for Zoe, after Avatar. Zoe is playing the protagonist and the entire movie is revolving around her. There are some action scenes you definitely love to watch. Let us take a dig into the content of the movie. The startup of the story is setup in Colombia, year 1992. Fabio Restrepo works for drug lord Don Luis Sandoval. He wanted to leave the under-world for the betterment of his family. He meets Don for the final time. He hands him over all his business details in a set of floppies and they depart warmly, both showing respect and affection for each other. However as soon as Fabio is out, Don orders killing him. Seeing the movement Fabio also realized that his entire family is in danger and with his own trusted henchmen, he have around an hour to get his family out of danger. His family at the home is ready though. The sequence here is quite astonishing. We will not describe the detailing of the scene here, but you will surely love how Cataleya, daughter of Fabio gets out of the scene. Amandla Stenberg is fully convincing here. The girl is good at acting and she does some speedy moves as well. Watch the sequence for her performance. Also the locales of Colombia is bring on the screen convincingly. Cameramen in addition to the director deserves credit as well. Fabio and his wife are killed, Cataleya is the only survivor. In the last few moments the Fabio and Cataleya met, he guided her way out. Young Cataleya was unable to understand the stuff, but Fabio says her that she do not need to understand (she will understand later after growing up), she simply need to listen carefully an remember what to do. Quite a good conversation. See the souvenir Cataleya got from her father who is bidding her goodbye for the last time. The non-melodramatic, simple, emotional scene. Kudos to the director for the same. She had to go to his uncle’s place in Chicago. His uncle is also associated with the world of crime in a way. However she cannot go to Chicago from Colombia directly. So the young lady has a plan. She met the US authority and clears her way to Miami. She was escorted by lady staff member, in specially arranged flight fro her. She is granted legal papers and some cash as well when reached to Miami. She has some other plans though. She don’t want to live a comfortable life when the killers of her parents were moving freely. And as her uncle is associated with the world of crime, so she don’t want the government to establish a link about her whereabouts. So she escape from there. See the detailing while watching the movie and you will be ale to link the dots later. For example while on her way to Chicago, while riding in the bus, you will find young Cataleya reading a kids magazine about Xena – The Warrior Princess. She ultimately reaches to her uncle Emilio. See the first meeting between them both, it is the first time she cried on her parents death. You will also like the scene where Emilio convince Cataleya to study, and why it is needed for her, despite of her ambition to be a killer. The movie from this point forward is now grown up Cataleya’s journey as a killer. You will how she kills the killers of her parents one by one, how her uncle and his mom is put in danger by her accidentally. How the cat-mouse race between the police and her moves ahead. The film was criticized by a non-profit group named PorColombia for portraying Colombia in a negative way. If you are an action movie lover, you will like the movie to see Zoe performing the action and executing her plans. In fact most of the crew acted convincingly. The background music is mostly good. The movie’s pace is slowed down in the later half for a while. The movie has emotional quotient as well. It is not a message giving movie or so. It is made purely for the entertainment and clearly made for the mature audience only. So you can watch it in those circumstances only.